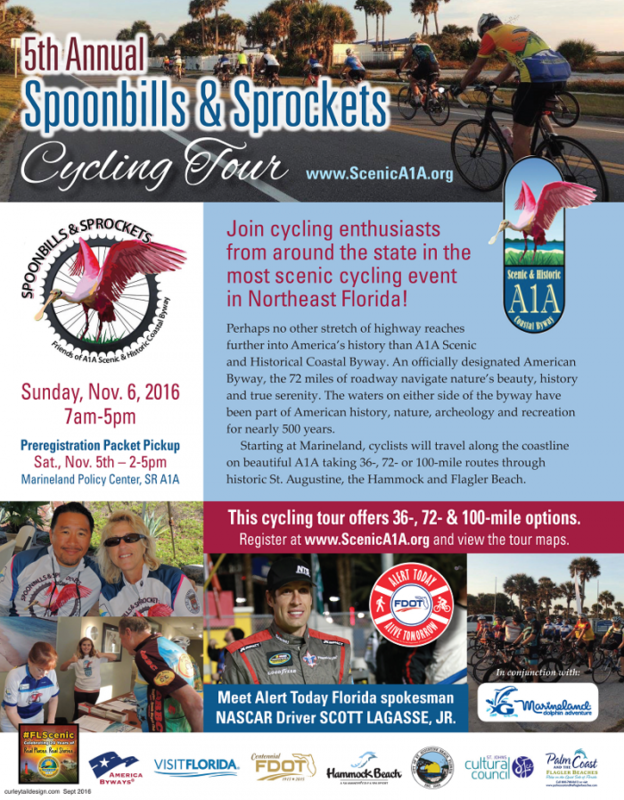 Come experience the beautiful A1A Scenic Byway by bike! Whether the 100 mile, 72 mile or 36 mile route, take in the sights of Gamble Rogers State Park, Varn Park, Marineland, and the St. Augustine area. A fully supported ride, including SAG support. This ride is sure to please as you tour our beautiful beaches and parks. Once finished enjoy a catered luncheon and an afternoon at Marineland! 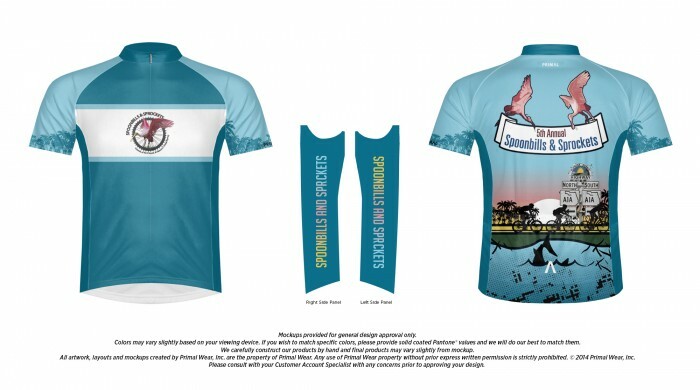 Order Your Official Spoonbills & Sprockets Cycling Tour Event Jersey! Only $45 through August 28, 2016! Plan a Day and Stay a Day! Great deals for our event from our St. Johns County and Flagler County partners. Come Relax on the Quiet Side of Florida! All proceeds benefit Friends of A1A Scenic & Historic Coastal Byway, to preserve, protect, promote and enhance the 72 miles of historic byway that stretches from North St. Johns County to South Flagler County.